Joyce Rupp is well known for her work as a writer, and retreat and conference speaker. 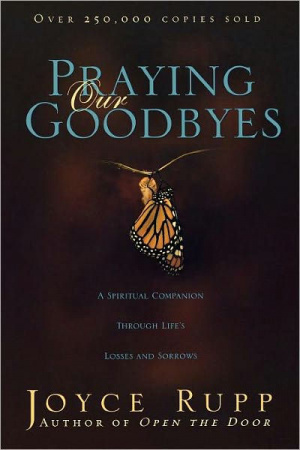 Praying Our Goodbyes by Joyce Rupp was published by Ave Maria Press in May 2009 and is our 8595th best seller. The ISBN for Praying Our Goodbyes is 9781594712050. Be the first to review Praying Our Goodbyes! Got a question? No problem! Just click here to ask us about Praying Our Goodbyes.